Fans of UnREAL are in for a treat as the series’ fourth and final season is now available in its entirety on Hulu. The deal between A+E and Hulu also brings the complete series to Hulu allowing both old and new viewers to catch up with the drama of Everlasting. Season four of UnREAL follows Rachel (Shiri Appleby) and Quinn (Constance Zimmer) as they return to the set of Everlasting for an “All-Stars” themed season. 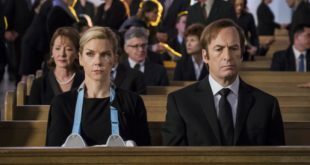 Co-creator Sarah Gertrude Shapiro and showrunner Stacy Rukeyser both return for Season 4. 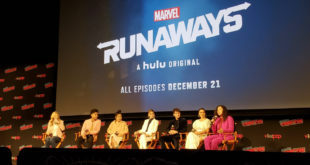 New cast members include François Arnaud, Natalie Hall, Meagan Holder and Alejandro Muñoz. The eight-episode final season of UnREAL is now available for streaming on Hulu.